I'm really happy to announce that I am getting married. I have met the most amazing woman and we are tying the knot in January 2017! It turns out that planning a wedding is really quite tough so I wanted to share a few tips on what we have learned so far! 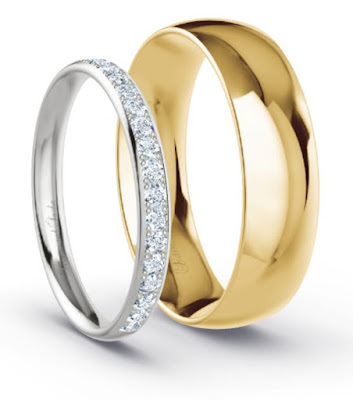 You can buy wedding rings online > (yes those are our rings). But, you need to shop for rings in person, our original ring choices were nothing like what we ended up with. Check your wedding ring size when your hands are hot and cold, you don't want to end up with a ring you bought in February that you can't fit on when it comes to the big day. Everything costs a lot more than you would expect. Make a budget and if you are really good, try to stick to it. Start shopping for your wedding dress the day you get engaged, yes it can take that long. If you can keep your party small then you can go big on the venue and get somewhere really special. Photography can cost a lot more than you think, in London wedding photographers charge around £150 per hour! Don't forget while planning and organising for all of your guests that it is still your day. Which country will we get married in. Are we going for a church or registry office. What is the overall budget. How many guests will be invited. Don't eat for 24 hours before your tasting dinner for the reception so you can manage everything on the menu. Find a partner who doesn't want a Hollywood wedding then give her the best day of her life! Trello.com for creating the worlds longest to do list. Style Me Pretty and Pinterest for photo ideas.